Due to not meeting the required number of participants, this event has been postponed and all parties registered for this event should have received notification of such and will be rolled into the November date. If you have any questions please feel free to contact us. 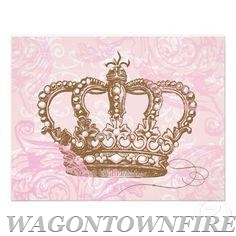 You are cordially invited to join our fairy tale princesses at the Wagontown Royal Princess Tea Party. Activities include tiara crafting, makeup, hair and nail stations and pictures with the princesses. Each participant will receive a Coronation Certificate. No sales at the door, you must have preregistered and submitted payment by September 13th. Reservations will be confirmed by phone after payment is received.